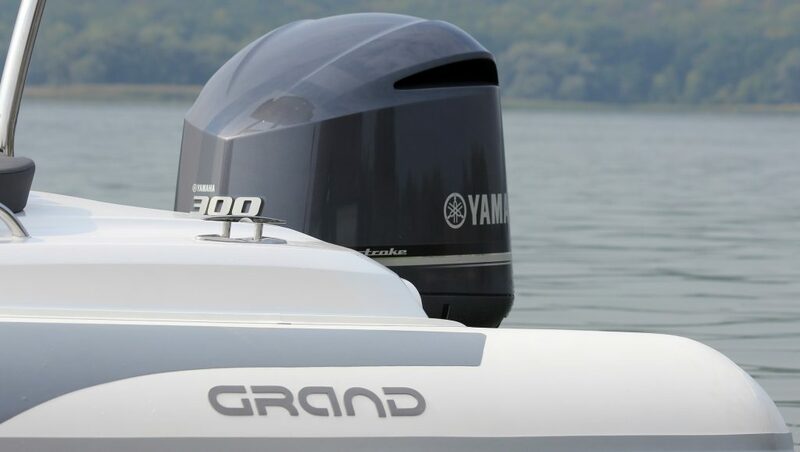 GRAND G850 is our new flagship from the season-2016 and our first boat certified under the category of B (offshore). 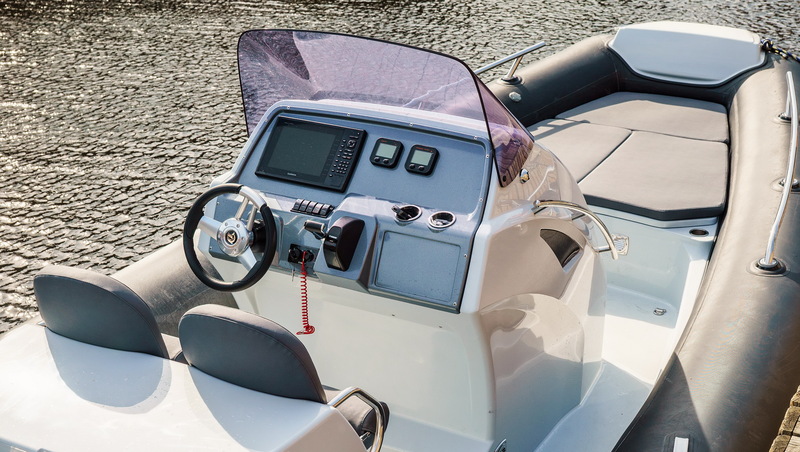 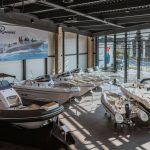 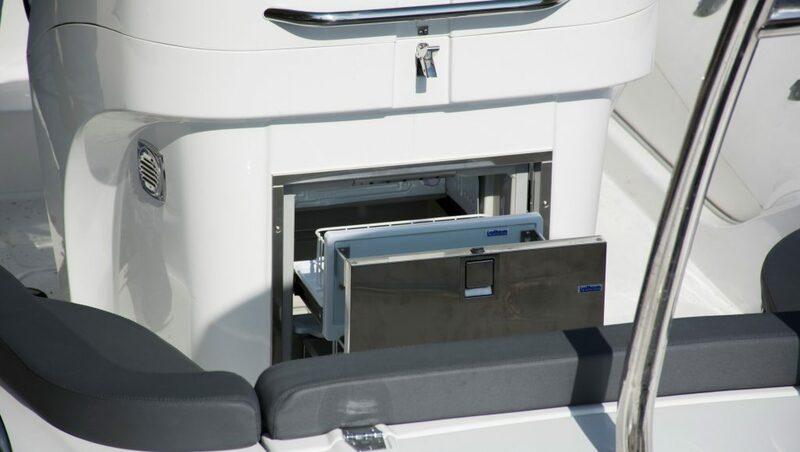 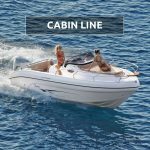 The exceptional seaworthiness, and presence of a huge fuel tank (capacity of 300 liters), as well as many additional elements of comforting the boat make possible to plan long trips without worrying about the bad weather conditions or fuel shortage. 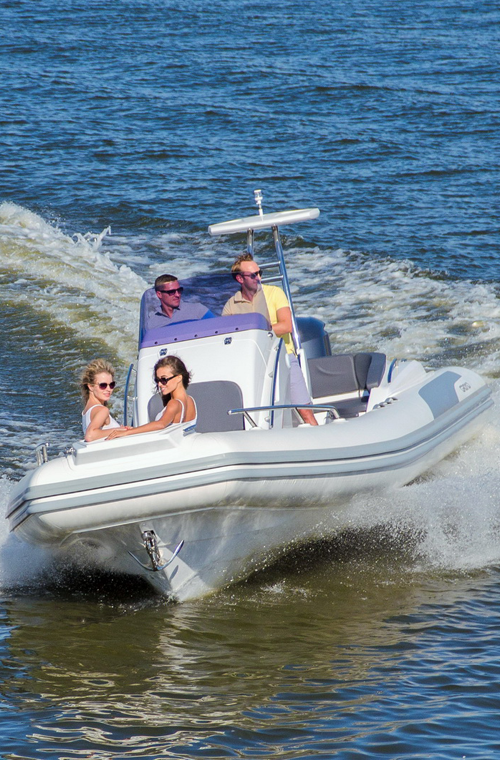 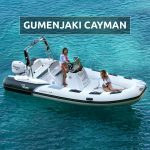 The GOLDEN LINE G850 with its 8.5m in length and 2.95m in width can hold up to 12 passengers with it’s 300HP engine and 2000kg of weight. 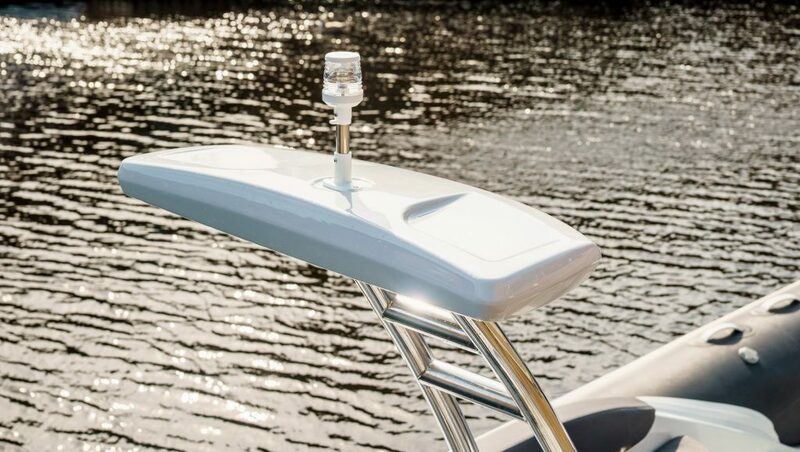 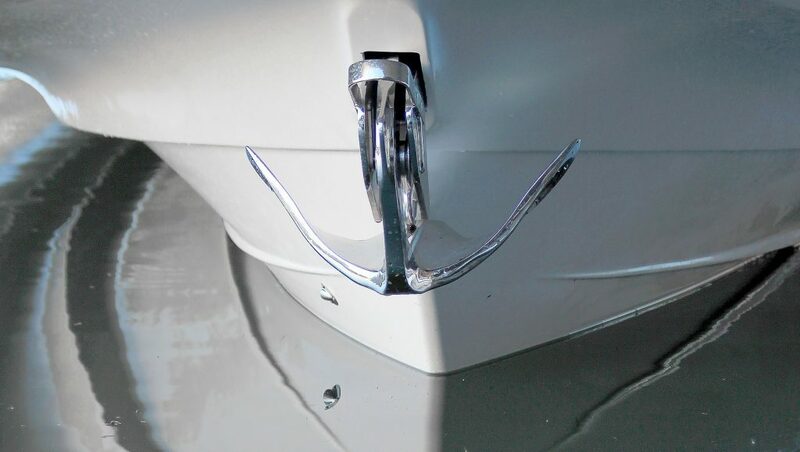 The boat is available in two colors – white and black&white, both of them are made from Hypalon material. 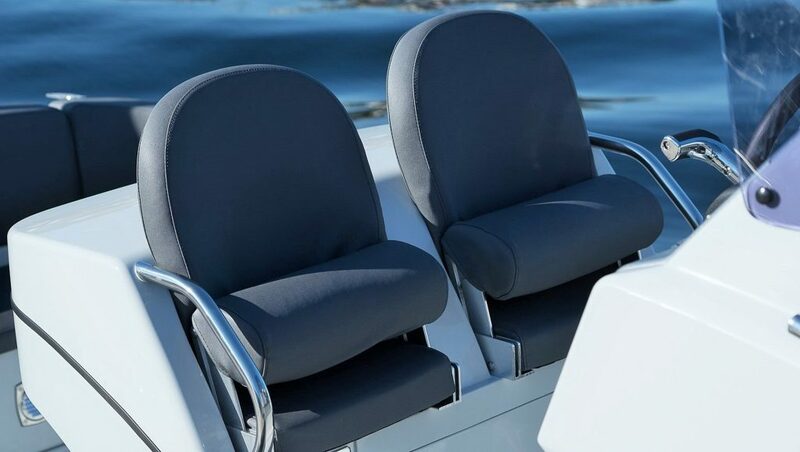 The standard equipment includes a brand new steering console CL-21 with front lifted seat, windshield, railings and gloves box, driver’s double seat SD-21 with two folding seats and lifted hatch, U-foam rear seat/sofa with 2 side lockers, soft cushions and high seatback, built-in fuel system with 300l fuel tank, rear railings, two rear cleats and two towing eyes, rear locker with large access door and gas springs and more. 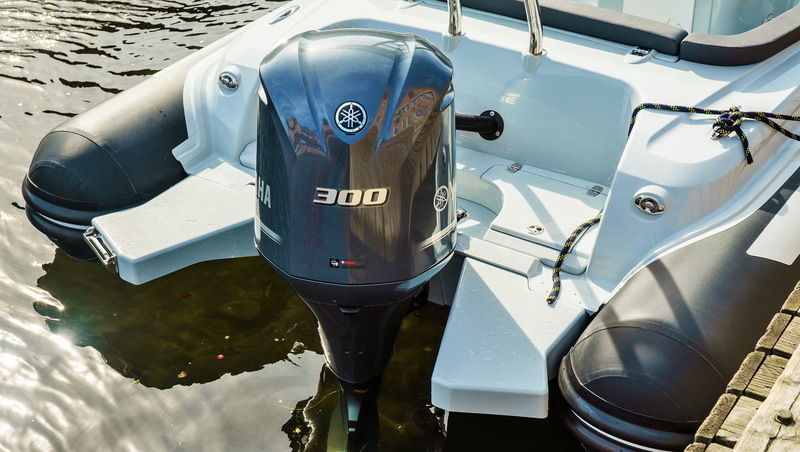 Besides the standard features, the GOLDEN LINE G850 offers many other equipment options that will satisfy any customer’s needs. 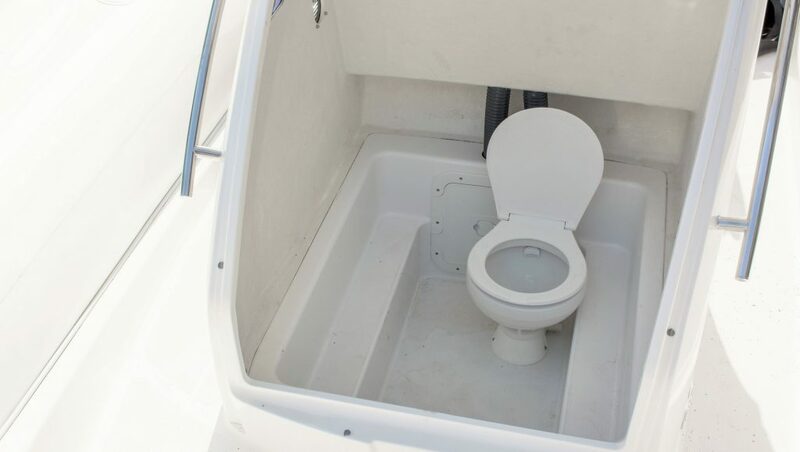 Optional package includes electric anchor with lifting mechanism, hydraulic steering system, water shower set with pump and 100l tank, in-build refrigerator, washdown system, overall cover, consoles and rear seat covers, removable table with 4 cup holders, rear Sundeck, stainless steel bimini top, 2 overpressure valves and more.